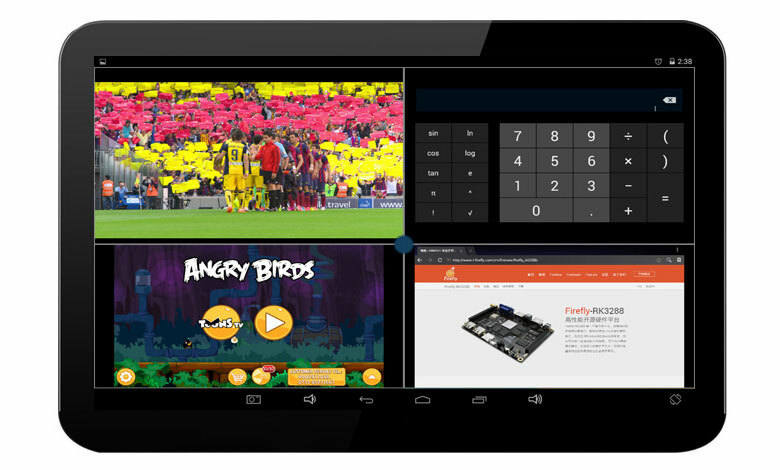 Firefly-RK3288 has a powerful multi-threaded computing and image processing capabilities, can realize the function of multi window display based on Firefly-RK3288, the user can run different applications simultaneously on the Android system, can also be performed on the current window open, close, zoom in, zoom out, maximize, minimize etc. In the system settings , there is a multi window option switch, which opens this option, and multi window function can be used. We open an application, with four or five fingers touch the screen to shrink the sliding , you can enter the multi window mode. We open an application，and then pull out the application bar from the right sied of the Screen. There is a button on the bottom of the application bar, Click on it to open multiple windows function. 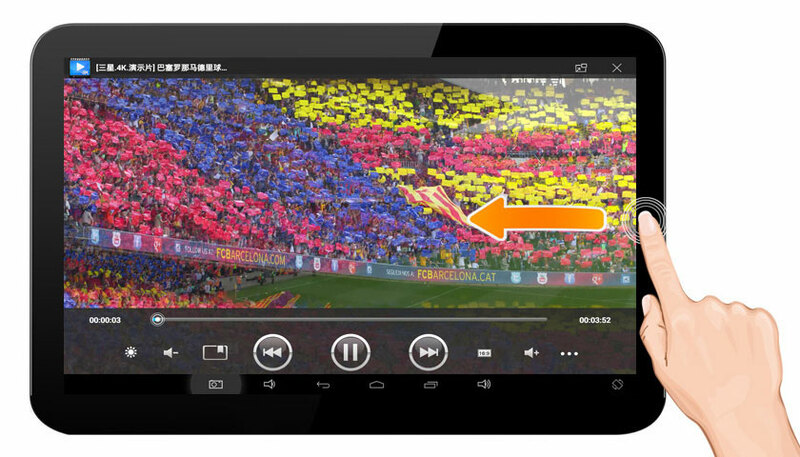 Then open the three applications to fill the entire screen, multi-window function can display up to four windows. Press and hold the small dots in any move, the four window size changes accordingly. Click the middle of the small dot will appear around the nine button, can close, minimize, maximize the window.